Beautiful seaview villa on the mountains with panoramic view towards the sea. It is decorated in modern style with luxury details. For sale or for rent. The villa is fully furnished and equipped. 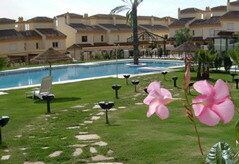 It is one of the best holiday rentals. 40 min drive to Malaga airport. If you want to buy or rent or to know more information about Seaview villa in Punta Lara, Nerja contact us, please.